Hi everyone! I hope you are having an awesome weekend. 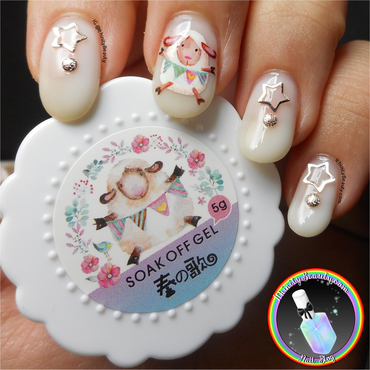 Today I am taking a look at two products from the Born Pretty Store, I had fun playing with these and decided to try and recreate the adorable little sheep from the gel polish pot onto my nails! What do you guys think? You can see my full review on the blog https://goo.gl/bfi3ju Enjoy the rest of your weekend!